Richard Fitzgerald is an avid photographer and his sepia photographs show a rural Ireland of not so long ago. Dark Ireland: Images of a Lost World is filled with pictures of Ireland’s secluded landscapes, farms and cottages. 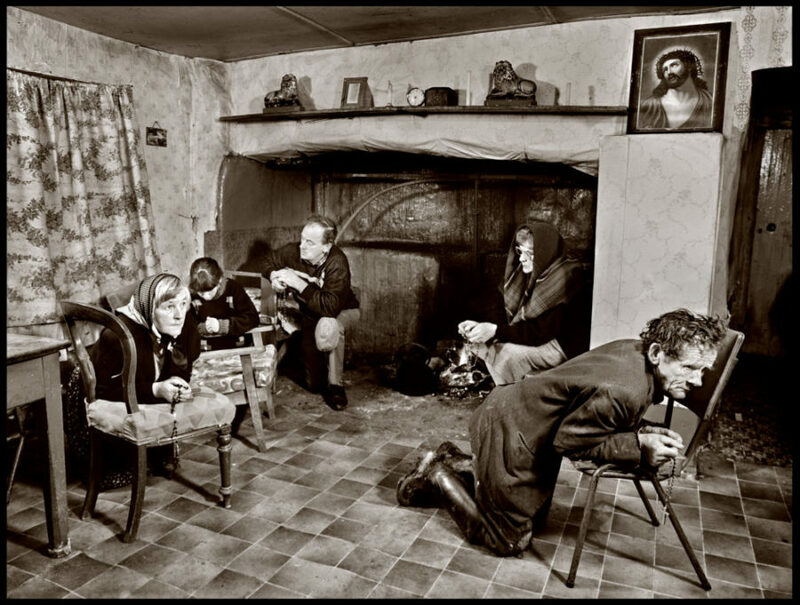 The pictures show people and locations varying from the 1970s up to the 2000s, depicting families, workers and animals and their lives in rural cottages without electricity. 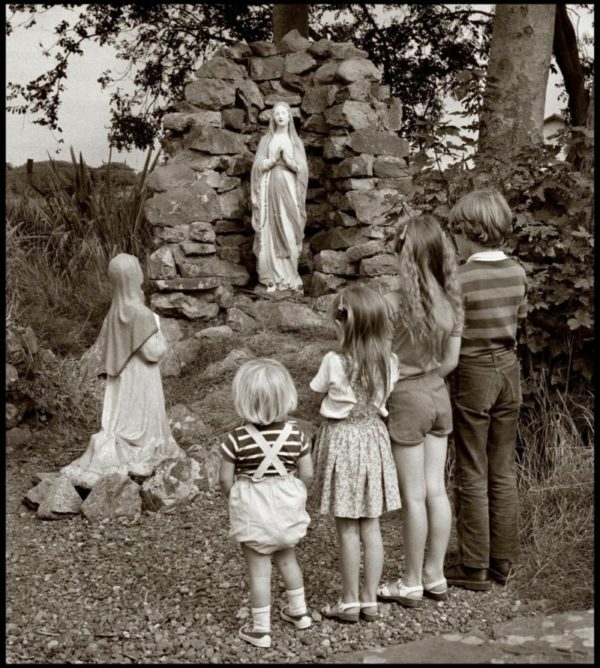 It is a world of currachs and turf harvesting, horse fairs and rosary beads, all dimly lit by firelight: a vanishing Ireland increasingly eroded by modernisation. 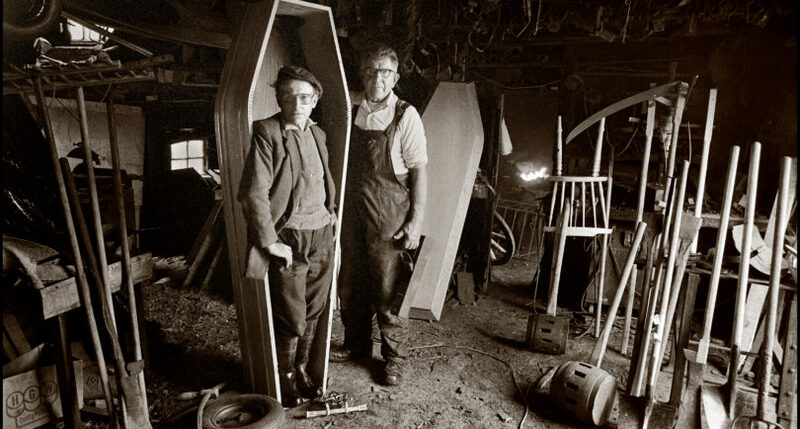 From nuns at the beach and men milking cows in the middle of the roads, to the inside of a local coffin maker’s shop, Fitzgerald captures the daily realities of Ireland’s rural population in decades past. Richard himself has enjoyed a successful resume in photography around the world. He began his career as a darkroom printer and went on to become an award-winning filmmaker and photographer. Other than his widespread acclaim in photography Richard has garnered himself a nomination in the Irish Film & Television Awards through his documentary The Brothers. He has a very intimate style, primarily doing close up shots of his subjects, which brings much of the humanity that resonates from his images. The care he takes shows the strong and loving connection Fitzgerald has to his homeland. The book has a homecoming feel for Fitzgerald, who himself grew up without electricity. He says of his childhood: ‘‘As a young boy trying to make sense of my surroundings, Ireland seemed a very dark, bewildering place.’’ His snapshots capture the less lavish, more grounded reality of the dimly lit rooms of some families in Ireland’s countryside. The pictures featured in the book create a nostalgic feel, of an Ireland that might not be so far away. 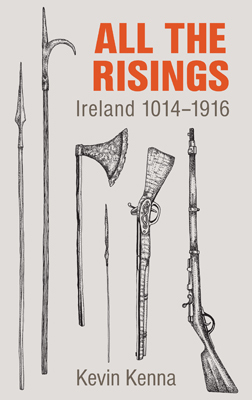 If you would like to explore this Ireland of light and shadows, you can buy your own copy of Dark Ireland: Images of a Lost World by clicking here.